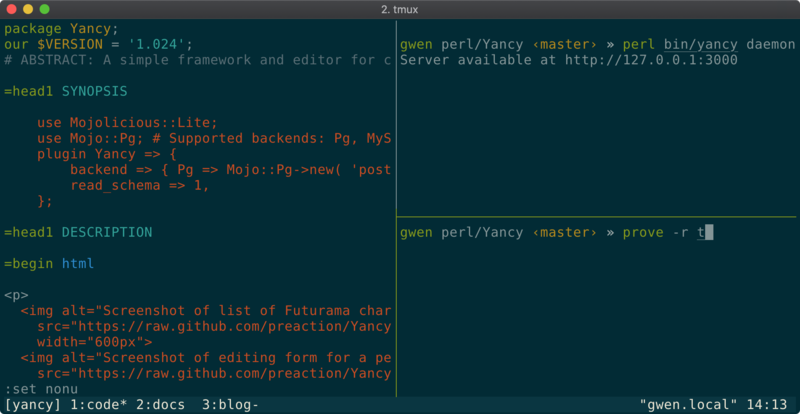 First, I create a new Tmux session named "yancy" and create a new window. 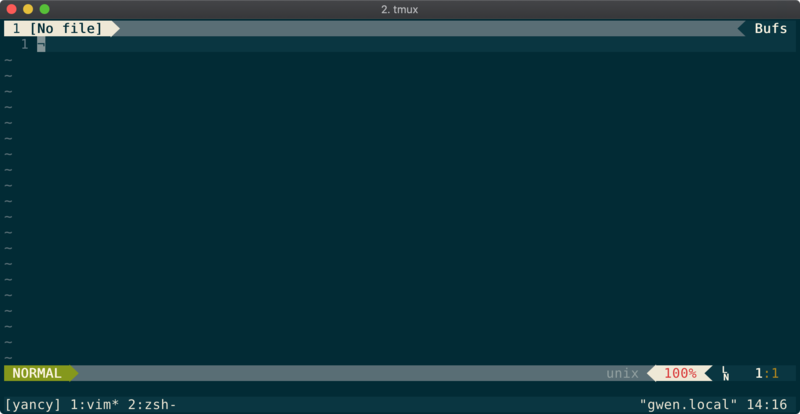 Then I run vim, my editor, in the first window, and set up an environment variable in the second window. Next I need to run my databases. 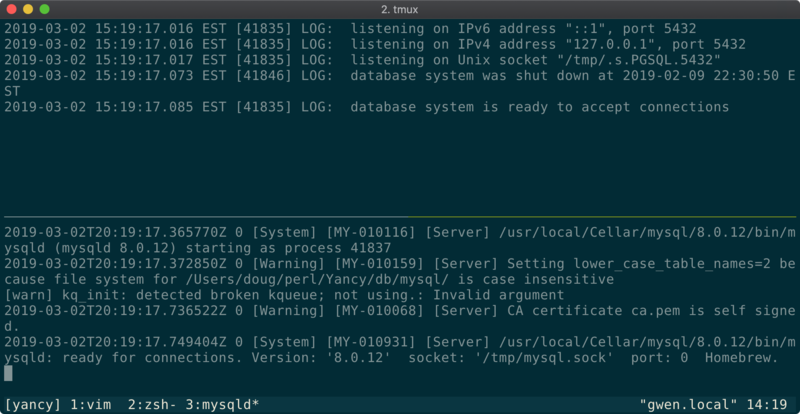 I create a new window to run Postgres in one pane, and then split that pane to run MySQL in the other pane. Finally, I need to attach to my session. But also, if my session is already running, I don't want to initialize it again. So, I wrap the entire thing in a shell conditional. Now with one command I'm ready to develop! This script is available in the Yancy repository for anyone to use. 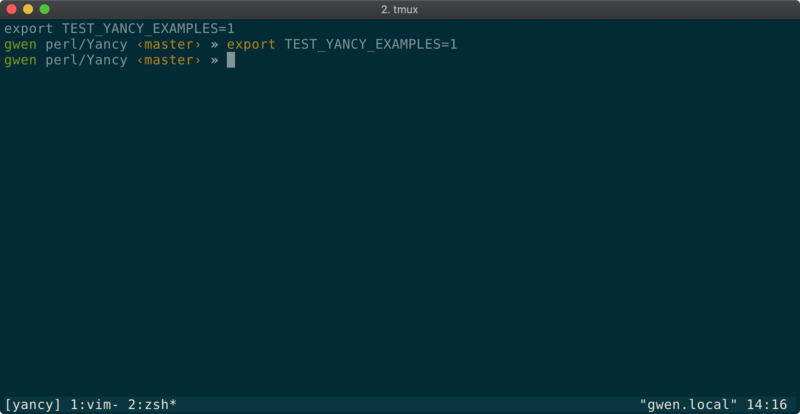 Tmux makes working on Yancy easy!